Jeff Stevensen is a Maine based photographer. 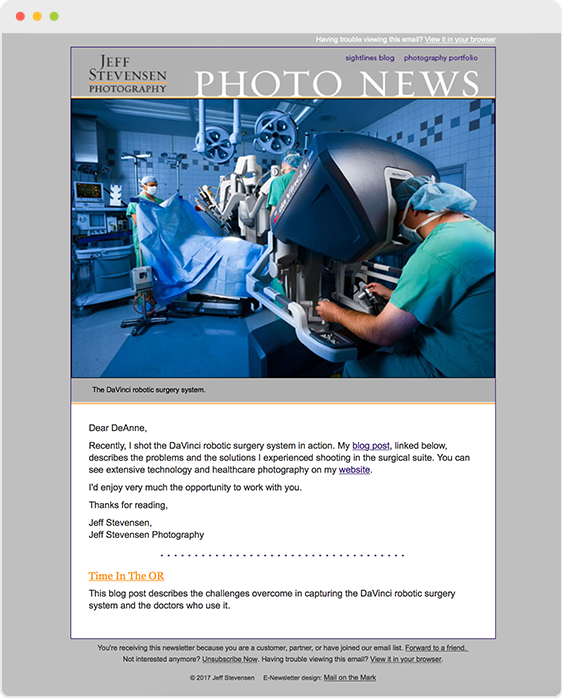 The e-newsletter design follows his website and blog design closely and allows Jeff to announce recent works and blog posts. As a photographer, Jeff Stevensen clearly cares about his visual brand. Because Mail on the Mark is completely customized we can match his style perfectly. Every Mail on the Mark newsletter is tested to look great across all types of browsers and screen sizes.